This is such a yummy soup. I have been making is for quite a while and it is always a hit. 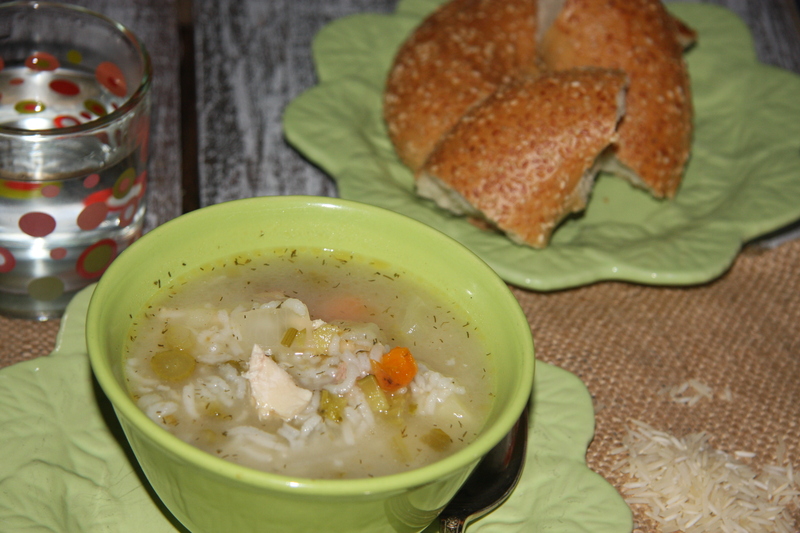 How can you go wrong with chicken?This soup starts off being a basic chicken soup but with a added surprise people are usually delighted that it contains something that they would not dream of adding to a soup. Should I tell you what it is? Well ok. The surprise ingredients are pickles and some pickle juice. Now don’t go turning your nose up at this until you have tried it. It is really good and tasty. Here’s the recipe. Into a large stockpot add 10-12 cups of water and 1-2 chicken pieces. I used 1 chicken breast. 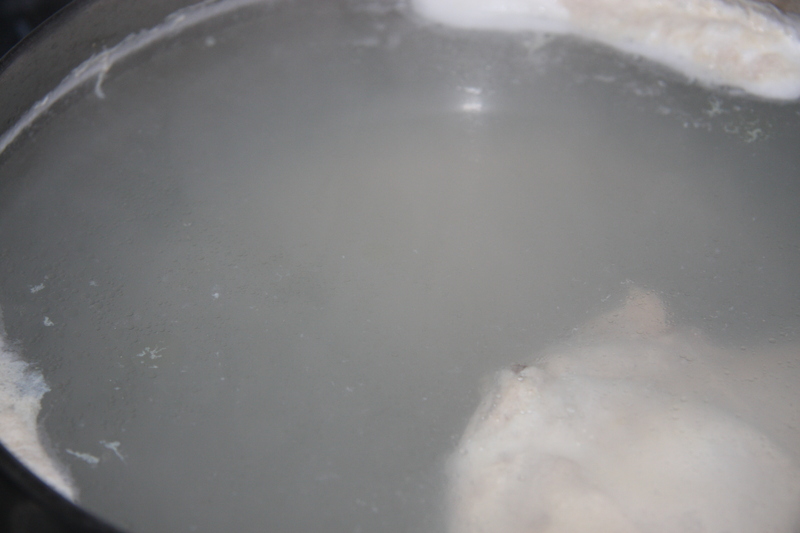 Bring to a boil, and remove scum that has formed. Next chop 1 onion, 2 carrots, 2-3 ribs of celery, 1 cup of kielbasa, 2 potatoes, 1/2 cup of pickles and 1/4 cup of fresh parsley. Add all the chopped ingredients to the pot with the chicken. Add about 1 tablespoon of salt, 1grated garlic clove, 1-2 cups of pickle juice and 1 tablespoon of dill. 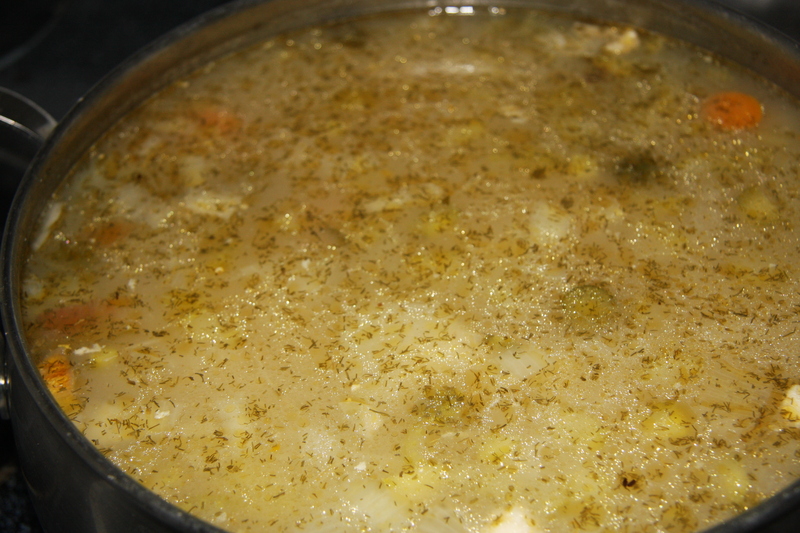 Bring to a boil and reduce heat to a simmer partially cover and simmer for 1 to 1 1/2 hours. During the last 1/2 hour of cooking you may add your favourite rice. 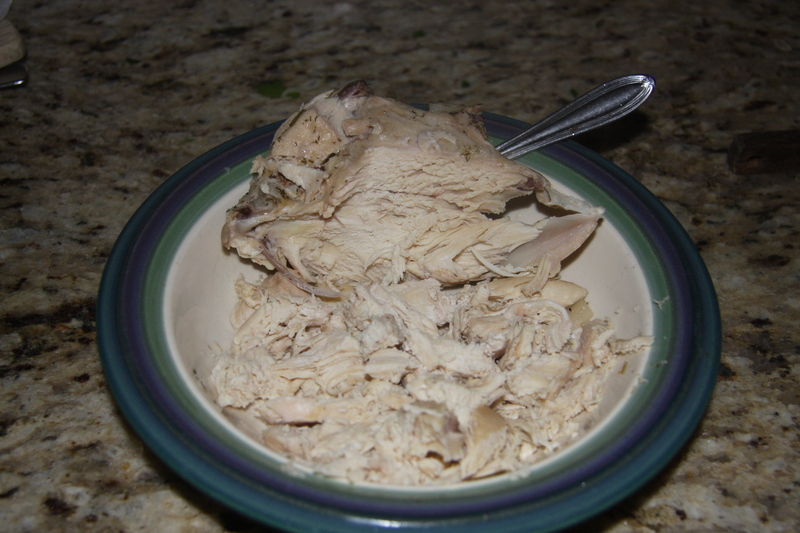 During the last 1/2 hour remove chicken from the pot and shred into small pieces. 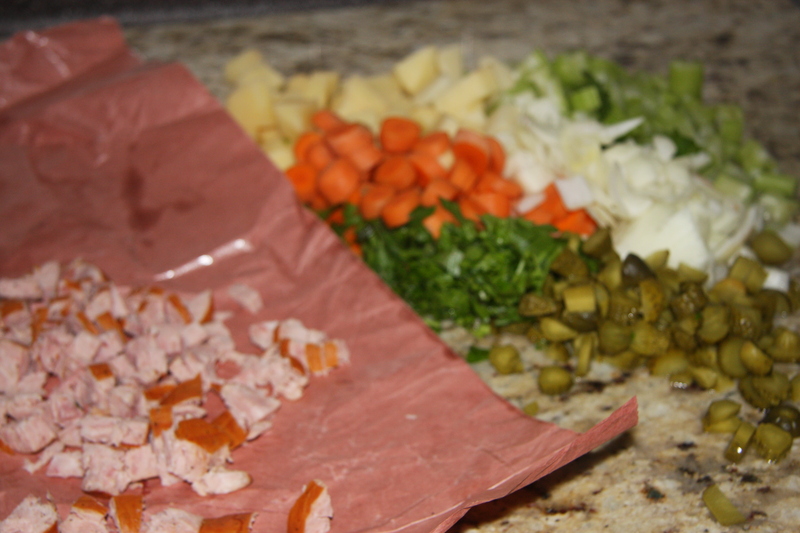 Before adding meat back take a potato masher and crush some of the veggies, right in the pot. Into a container add 1/2 cup of flour, 1 cup of water and 1-2 cups of sour cream, (opt.). Mix real well. Slowly add the sour cream mixture into the pot while constantly stirring. When it thickens a bit and is well blended it is ready to serve. Seriously, this is really good. Instead of the rice you can add dumplings, pasta or any grain. Like they say, try it, you’ll like it. Into a large stockpot add enough water to make sure it is about 3/4 full. My pot has about 10-12 cups of water. Then add chicken breast and bring to a boil. 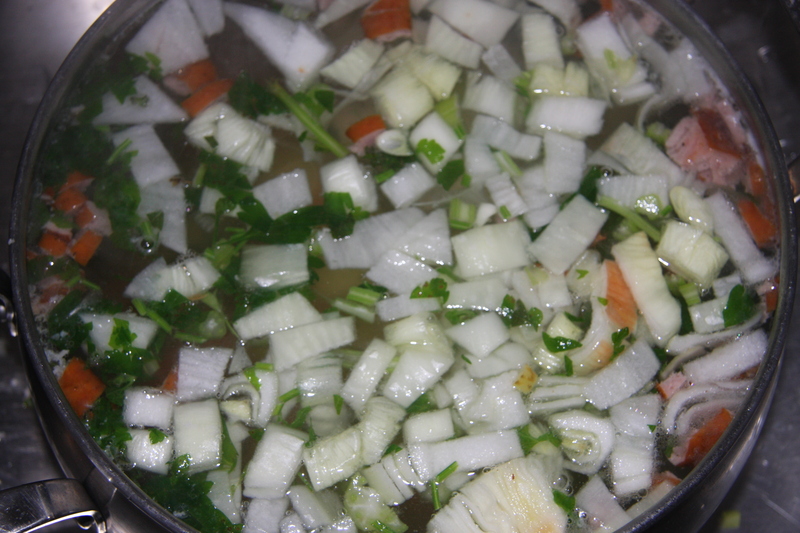 Remove scum and add all of the veggies, pickles and pickle juice, salt and pepper, garlic and parsley. Bring to a boil again, reduce the heat to a simmer. Cook partially covered for 1 1/2 -2 hours. After 1 hour you may add 1-2 palm fulls of rice. Cover again and finish cooking. Closer to 2 hours, remove the chicken breast and shred the meat. Take a potato masher and crush some of the veggies. Add the meat back to the soup, making sure the rice is cooked. Next add the slurry of flour, water and sour cream. 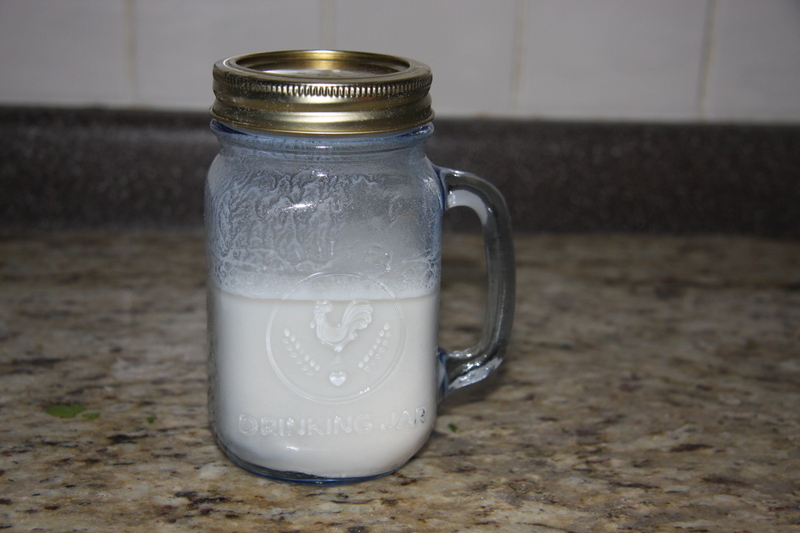 Constantly stirring until it is well blended and thickens a bit and is heated throughout.